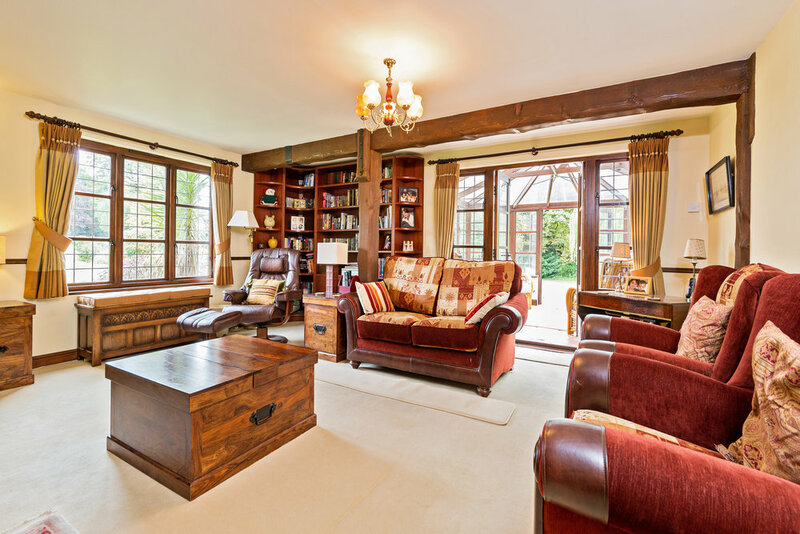 Size: 4 bedrooms, 3,000 sq ft.
Spring Cottage is a timber-framed Potton home, which was designed to encompass all the character of a traditional country cottage. 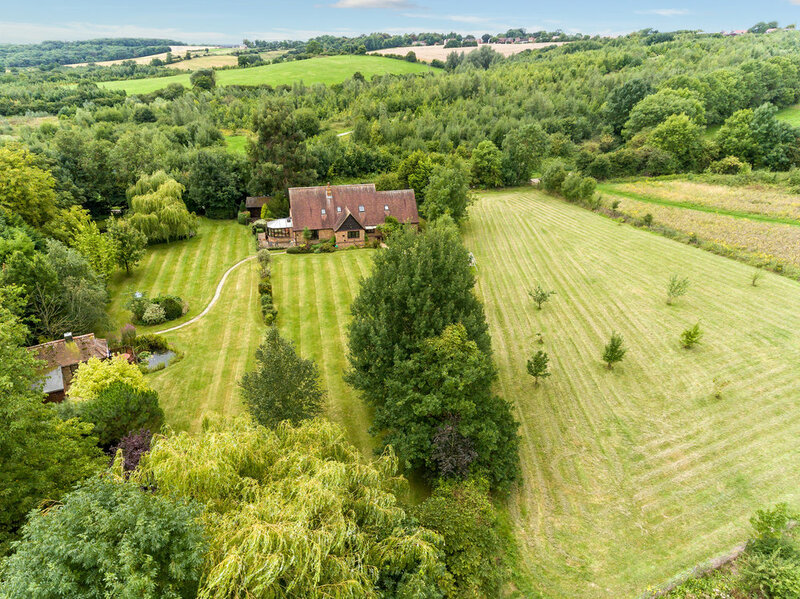 It was built in 1985 and replaced an old tied cottage which was part of a former farm estate. 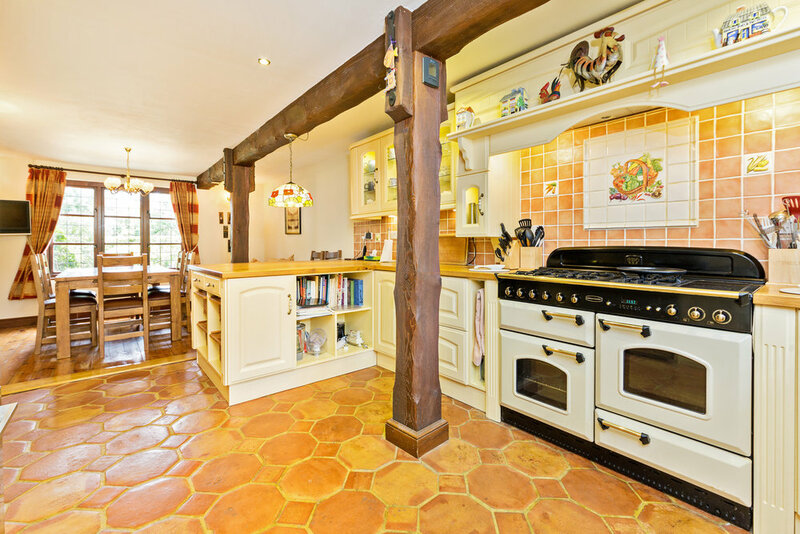 This property has lovely features such as timber beams and posts but is also fitted with double-glazed windows and under-floor heating. 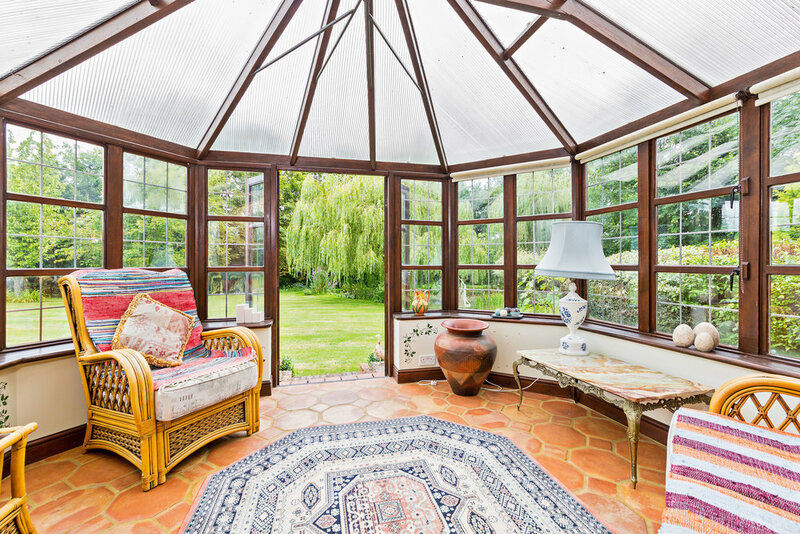 The property is entered via a large, central entrance hall, which gives on to the study and then the spacious drawing room, with its impressive, exposed brick fireplace and access through into the conservatory. The family bathroom and all four bedrooms are upstairs. The master bedroom is especially generous and has a very large en suite bathroom. The garden has undergone extensive landscaping: this included creating the exquisite pond areas and adding the decking over the summerhouse pond.